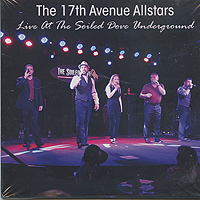 The 17th Avenue Allstars are celebrating 20 years as one of Denver, Colorado's top musical acts singing contemporary a cappella. The Allstars have performed across the United States and opened for National Acts such as: BB King, The Temptations, Mel Torme, and Robert Cray. Named the official anthems singers of the Denver Broncos they've experienced a wide range of a cappella performance opportunities including shows for US Presidents and Governers, corporate events and product launches, outdoor festivals and concerts and large charitable fundraisers. Book the Allstars today for your concert or special event and experience the a cappella magic that is The 17th Avenue Allstars. 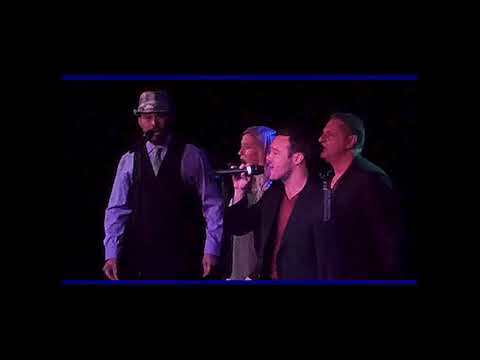 From the Doo-Wop favorites from the 50's to Contemporary A Cappella; straight ahead rock tunes or a cappella vocal jazz, the 17th Avenue Allstars will put on a show for any audience! Original member Norm Silver, aided and abetted by Jackie Farrell and Rita Dean, who also appeared on the All Stars last recording, "True Colors," are joined by three new members (including a vocal percussionist), though their musical journey in fact began much earlier - they won the Harmony Sweepstakes in 1993! The six members of this mixed group recently won the Denver regional competition of the Harmony Sweepstakes. Therefore their sound has evolved as well, and though their warm blend and soulful performances have not changed, depending on whom is assigned the lead vocal duties, a variety of impressions emerge. The earthy "Walking In Memphis," for example, is balanced by the eighties sheen of "Don't Stop Believin'." Superior clarity and a spacious mix helps to open up the ears for this tuneful new incarnation. Pride of Denver, CO, and 1993 Harmony Sweeps champs 17th Avenue All-Stars have given us 5 excellent Contemporary CDs, and their 6th, "Blend" is their best yet. One of Colorado's best-loved musical acts, the Stars are real audience-pleasers, whether performing their award-winning Pop Music Show, Dance Party or Doo Wop Show. Formerly a 4 man, one woman quintet, they are now an all male act, adding soulful Jimi Alexander. 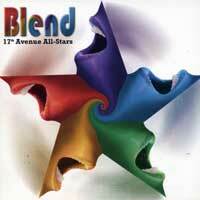 Blend features 12 finely-crafted covers, some favorites are Christopher Cross's "Ride Like the Wind," one of the best covers we've heard of the Beach Boys' "Good Vibrations," great falsetto leads on Earth Wind & Fire's "Let's Groove Tonight," a fun, seedy take on the Cars' "My Best Friend's Girl," Mr. Mister's "Kyrie Eleison," Richard Marx's "Should've Known Better," Paul Simon's hit "You Can Call Me Al," America's "You Can Do Magic," and Lionel Richie's "All Night Long." Tight vocal percussion, sweet leads and the Stars' shear ability to entertain make Blend a joy to listen to, and another winner for one of our favorite Sweeps champions! The four men and one woman of the Colorado-based 17th Avenue Allstars have been singing sweet Pop harmonies together for over a decade since their beginnings in Denver CO, and are no strangers to Harmony Sweepstakes audiences--they have won the Western Regional 3 times, and the whole enchilada, the National Championship, in 1993. Their repertoire includes 5 decades of popular music: 40's Swing, 50's Rock and Roll, 60's and 70's R&B and 80's and 90's Pop. "Doo Wop Gold," their fifth excellent CD, includes 12 classic, beautifully-arranged Doo Wop hits that would certainly rank in our top 20 of all time: "Remember When/I Wonder Why," "Sh-Boom," "I Only Have Eyes For You," "Blue Moon," "Rockin' Robin," "Come Go With Me," "Lonely Teardrops," "In The Still Of The Night," "Morse Code Of Love," "Get A Job" and "Trickle Trickle;" finishing with a tasty "The Lion Sleeps Tonight." Consummate entertainers whether they are performing their award-winning show at a family concert, large scale music festival or corporate party, "Gold" is ample proof that the Allstars are still one of the best Doo Wop groups we've ever had the pleasure to hear. 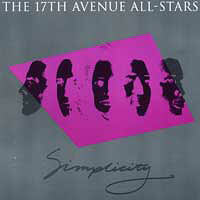 Released in the same year as their triumphant success in the Harmony Sweepstakes, Simplicity is the defining moment of the early All Stars with Robert Johnson joining the group and La Tanya Hall considered a member of the group rather than guest artist. On this release there are mostly originals, wonderful originals at that, such as "Johnny" by Jeff Harris which has been covered enough to become a standard. A similar mix of musical styles as the first release graces this recording but the group has matured tremendously. The departure of La Tanya Hall to a solo career and untimely death of Jeff Harris left Robert Johnson and Norm Silver to rebuild the group with arranging assistance by founder Robert Anderson. New members Jacquelyn Farrell, Rita Dean and Evan Blackstone continue the standard of vocal excellence. The ten songs include only one original by Robert Johnson who was busy with production as well. Included are "Sweet Dreams", "Stand By Me" and "Working In A Coal Mine" in addition to the beautiful title track "True Colors"..